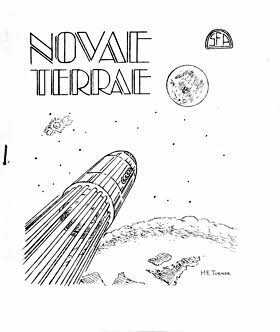 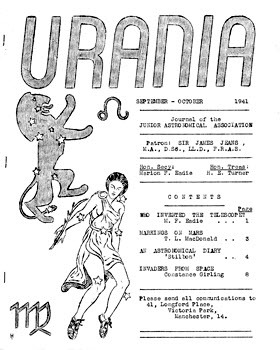 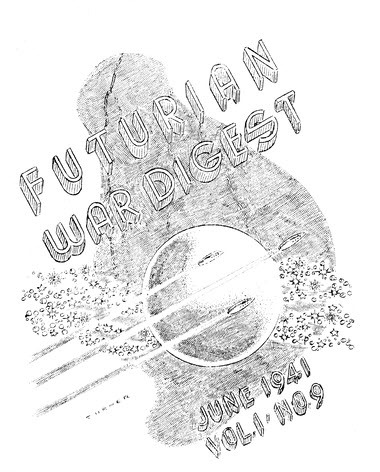 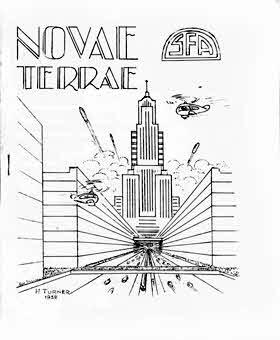 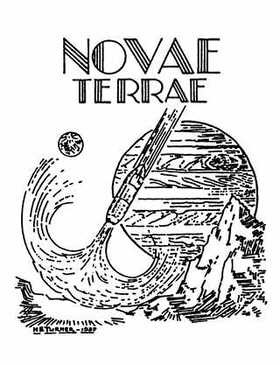 Although Urania was the journal of the Junior Astronomical Association, an organization which dealt mainly in the fact of astronomy and space travel, it did attract science-related contributions from the well-known SF fans among the membership: Arthur Clarke, Harry Turner and Douglas Webster to name but three. 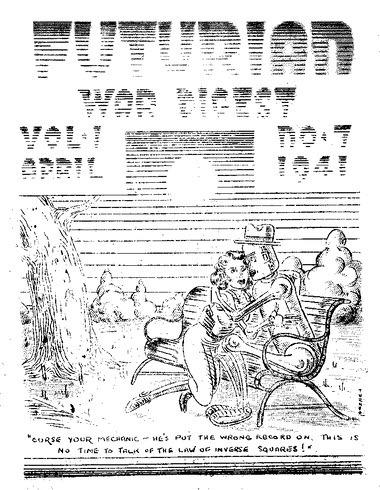 And for this reason, the 1941 covers with H.T. 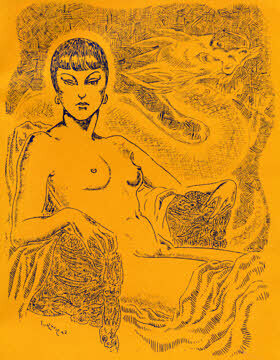 artwork have been included in this section of the website. 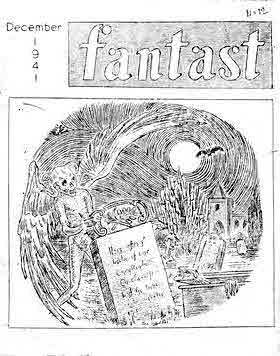  The magazine was edited in Glasgow by Marion F. Eadie, the future Mrs. Turner. 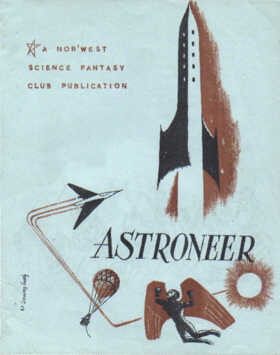 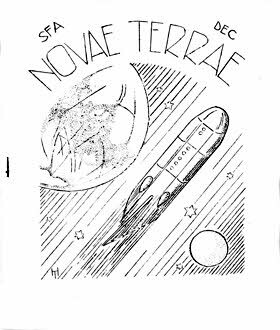 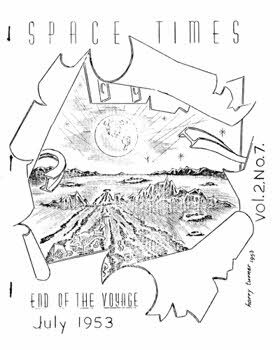 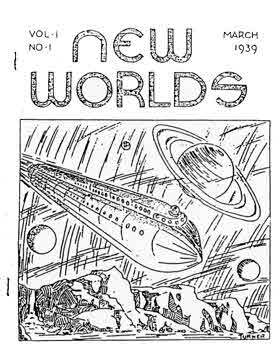 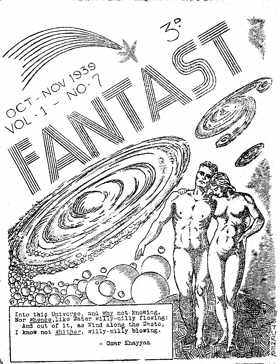 The 39 issues printed between 1940 and 1945 include several mentions of Harry Turner, including news of his engagement to Marion Eadie, president of the Junior Astronomical Association, in issue 6 and news of his call-up by the RAF in issue 22. 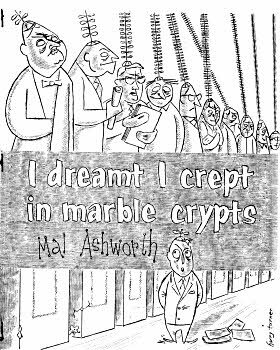 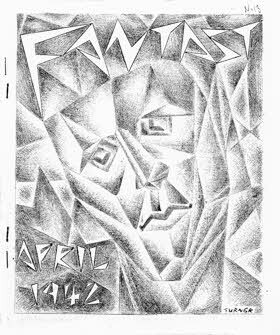 (left: ) Illustration for Forrest Ackerman's Voice of the Imagination No. 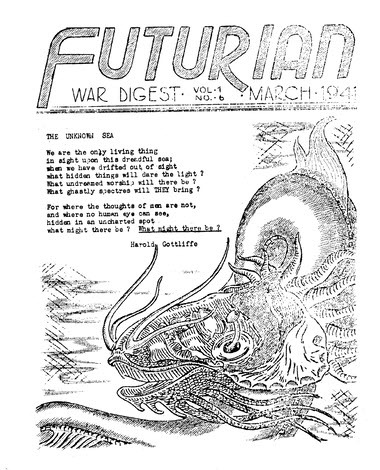 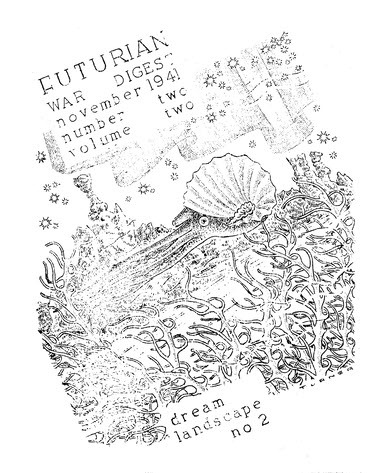 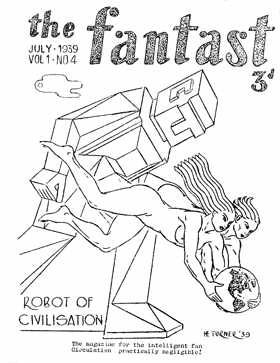 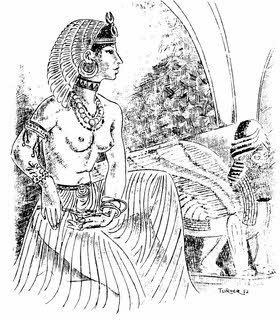 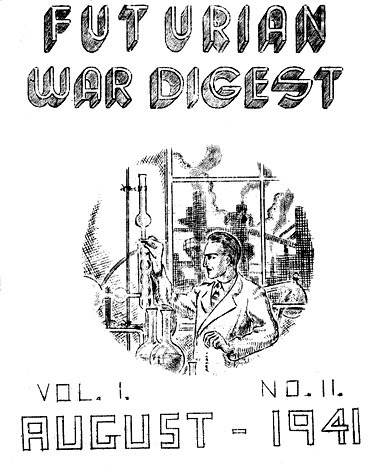 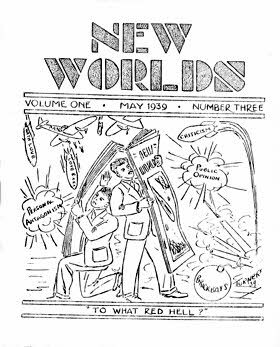 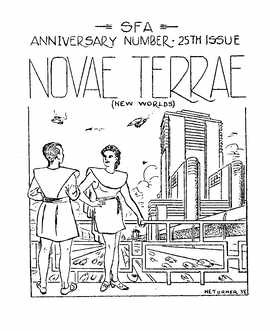 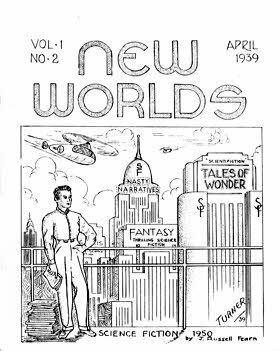 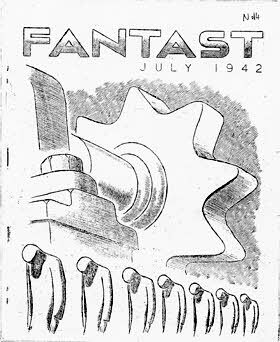 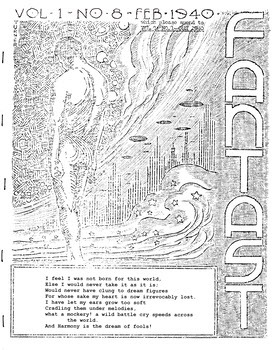 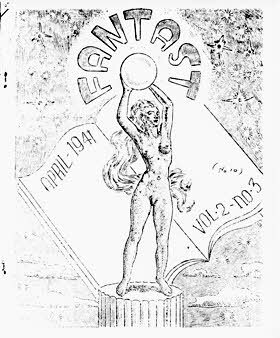 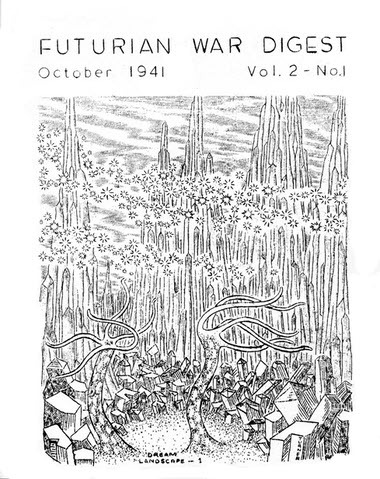 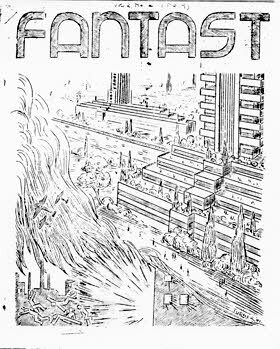 23 (June 1942) as reproduced in Art Widner's zine Yhos #54 (November 1995). 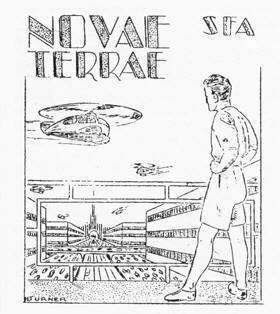 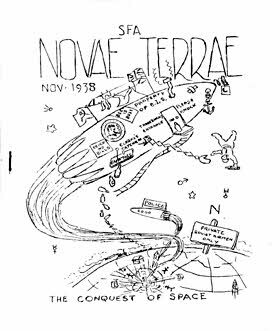 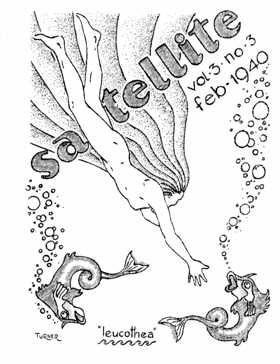 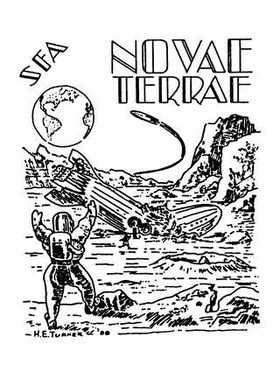 This is one of a number of drawings, which were made directly onto stencils posted to Harry Turner by 4e and posted back, and which survived the trip across an Atlantic Ocean infested with Mr. Hitler's submarines. 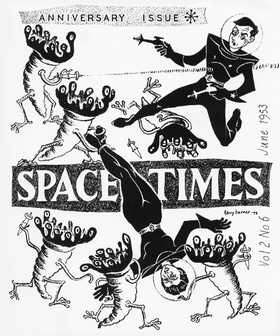 Post-War covers for Space Times from 1953. 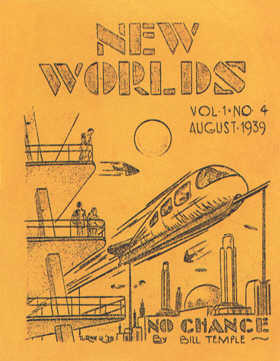 The June cover was drawn directly onto offset litho plates and printed in mahogany & green inks. 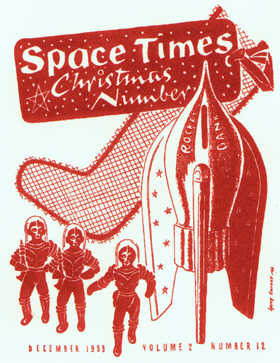 The December cover was drawn directly onto an offset litho plate and printed in dark red.